Robert La Follette developed a fierce opposition to corporate power and political corruption as a young man. Affiliated with the Republican Party for almost his entire career, La Follette worked in Congress, as the governor of Wisconsin and in the U.S. Senate. His rousing oratory, support for progressive reforms and frequent clashes with party leaders earned him the nickname "Fighting Bob." Born in Primrose township, Dane County, in 1855, La Follette worked as a farm laborer before attending the University of Wisconsin in 1875. 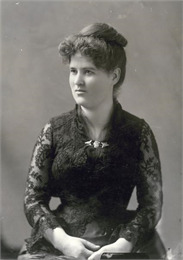 La Follette graduated in 1879. The following year, he launched his political career as district attorney. La Follette was elected to Congress in 1884 and defeated in 1890 by Democrat Allen Bushnell. For some a defeat might have signaled the end of a political career. But for La Follette it marked the beginning of a lifelong fight for political reform. La Follette's career as a reformer began in earnest a few months later when state Republican leader Senator Philetus Sawyer offered him a bribe to fix a court case against several former state officials. Furious that Sawyer would try to use money to influence the legal system, La Follette refused the bribe. For nearly ten years, La Follette traveled around the state and spoke out against crooked politicians, powerful lumber barons and the railroad interests that dominated his own party. Elected governor in 1900, La Follette pledged to institute his own sweeping political reforms. Until that time, candidates listed on ballots were selected by party leaders in private caucuses. Drawing on the ideas of other reformers, La Follette pushed the legislature to institute direct primary elections to let voters choose their own candidates. He supported measures that doubled the taxes on railroads, broke up monopolies, preserved the state's forests, protected workers' rights, defended small farmers and regulated lobbying to end patronage politics. La Follette worked closely with professors from the University of Wisconsin to help the state become "a laboratory of democracy." 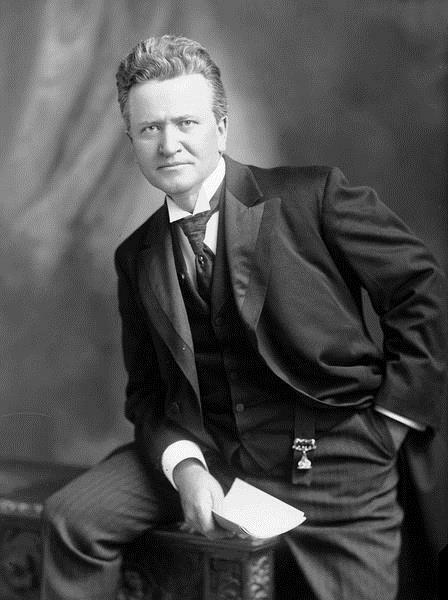 By the time he joined the U.S. Senate in 1906, La Follette had become a national figure. In Washington, La Follette pushed for the same kinds of reforms he had promoted in Wisconsin. He often spoke at length on the corruption of government and the abuse of industrial workers. Arguing that the entire nation's economy was dominated by fewer than one hundred corporate leaders, La Follette supported the growth of unions to check the power of large corporations. In 1909, La Follette and his wife Belle founded "La Follette's Weekly Magazine," a journal that campaigned for suffrage, racial equality and other progressive causes. Though La Follette supported Woodrow Wilson in the 1912 presidential election, he adamantly opposed U.S. entry into World War I, believing that disputes should be solved peacefully. Although he was accused of being unpatriotic, La Follette believed that American's involvement in the war would end democratic reforms at home. 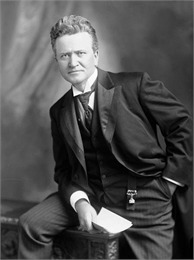 Though critics declared that his opposition to the war was political suicide, La Follette was re-elected to the Senate in 1922. In 1924, he ran for president on the Progressive ticket and received almost 5 million votes, losing to Republican Calvin Coolidge. La Follette died the next year.